This topic contains 4 replies, has 2 voices, and was last updated by Billy 4 years, 2 months ago. The cycling policeman is just passing on his left a popular car of the day a Standard Sportsman he is heading towards the cross roads where a large building project is almost completed. Can you tell me what that building project was and where are we looking from. 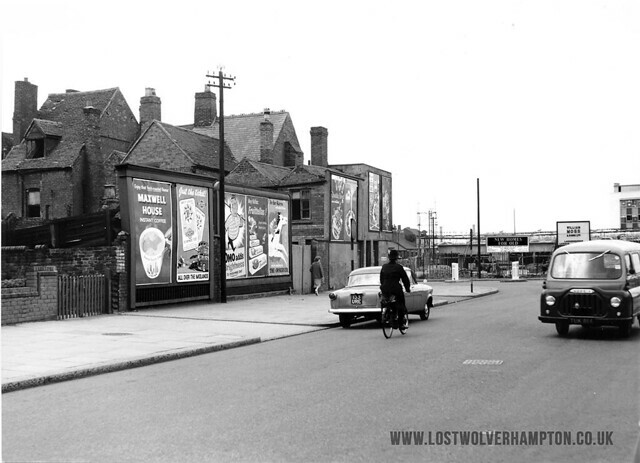 The building in the background on the right of the picture looks like the new market building that housed the Woolpack. I’ll take a guess at the building of the flats around Dale Street and Hallet Drive, but from which street I have no idea! Well done Tony and Thankyou to everyone that had a try I just hope these long gone scenes will jog the memories of the those who lived through those times, and provoke the imagination of the interested youngsters.out there! 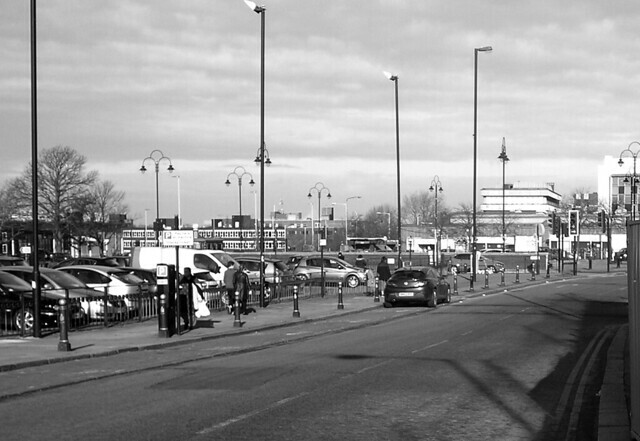 The building in the right top corner is the New Retail indoor Market just erected at that time and the building project in the foreground is toward the completion of the outside area at the rear adjoining the Peel Street car-park. The photo was taken from The Worcester Street – School Street, Corner circa 1960. and is Pictured here today.